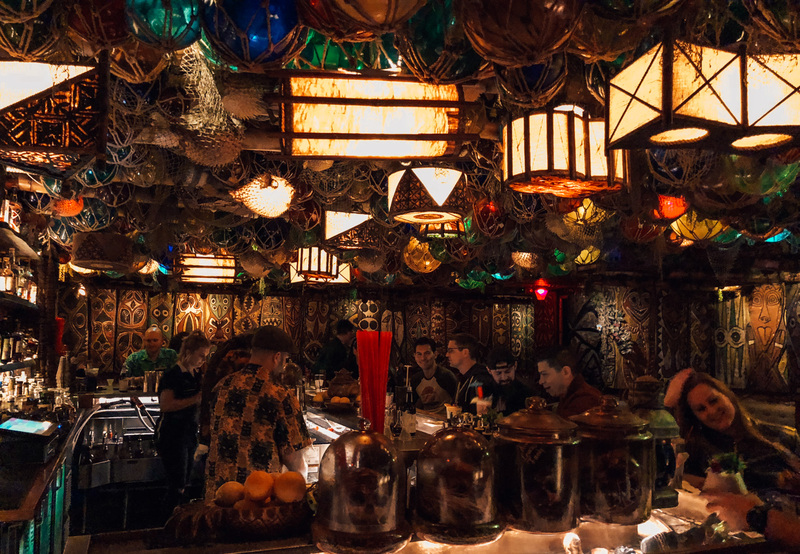 The tiki bar was called False Idol and it is actually tucked away inside of a place called Craft & Commerce. Basically you can just look up the address, go inside and at the hostess stand say you are there for False Idol and they will take you back. They do say to make reservations, but we strolled in on a weekday and we didn’t have to wait or anything. Once inside you are transported to another world! You sort of feel like you at a tiki bar on an island somewhere, but you are in the middle of Little Italy in San Diego. There is wall to wall decor and it is not tacky at all, it really adds to the whole experience. I was with two friends and we all ordered different drinks. Keep in mind tiki drinks contain far more alcohol than your normal cocktail so they are priced as such. Prices there range from $13-20 per drink, but you definitely feel it after one drink! The drinks were great and being in that atmosphere is definitely a nice break from the typical bar / club in that area. I featured False Idol in my one of my San Diego Vlog’s which you can see below.